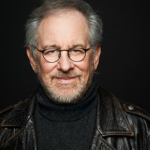 Steven Spielberg, Entertainment One, Participant Media and Reliance Group have come together to create a content group, Amblin Partners. The new company will use director Spielberg’s DreamWorks Studios, Amblin Television and Participant brands to create content for a wide range of audiences in TV and film. Under the Dome producer Amblin Television will become a division of Amblin Partners, which will be led by Michael Wright as CEO and Jeff Small as COO. Justin Falvey and Darryl Frank will remain atop Amblin TV, with Kristie Macosko Krieger and Holly Bario completing the Amblin Partners senior management team. Producer-distributor eOne will handle direct distribution of Amblin Partners’ content in Australia and New Zealand, Spain, the UK and the Benelux region, where the firm already had a movie distribution agreement with DreamWorks Studios. The news is a boon for eOne, whose share price has suffered in the wake of a controversial debt restructuring agreement. “We continually strive to partner with producers of the highest quality content, and Amblin Partners certainly represents the gold standard,” said eOne CEO Darren Throop. 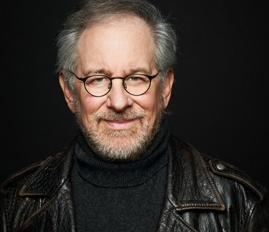 Participant, which owns cable channel Pivot and is a long-time partner of Spielberg (pictured) on films such as The Help, will work closely with Amblin Partners to develop and produce “specific” content for the new venture, while looking at coproduction opportunities and other content. Participant CEO David Linde, who replaced Jim Berk earlier this year, and executive VP Jonathan King, who leads the narrative feature team, will oversee Participant’s contributions to the venture. India-based Reliance, meanwhile, has been a financial backer of DreamWorks Studios since 2008, when a US$1.5 billion film production agreement was signed. This came after Spielberg pulled DreamWorks out of Viacom, which it had been a part of since 2006. JP Morgan Chase, which has backed DreamWorks Studios financially since its inception in 1984, structured and arranged a US$500 million debt syndication with Comerica Bank to allow for Amblin Partners’ creation. Sun Trust Bank, Union Bank, City National Bank and Bank of America also participated in the funding. Amblin TV’s upcoming shows include HBO telemovie All the Way, which stars Bryan Cranston and American Gothic, a summer event series for CBS that goes into production in February 2016. Films in production include The BFG and The Light Between Oceans. Hulu revives Animaniacs with Spielberg & Warner Bros.